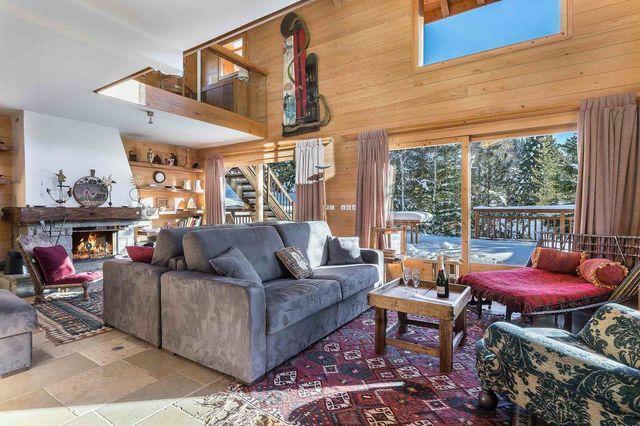 The family chalet Aspen located in the sought after neigbourhood of Chenus in Courchevel 1850, set amongst fir trees, enjoys a privileged location which offers breathtaking views on the needle of Mey, the glacier of Vanoise and the Grande Casse. 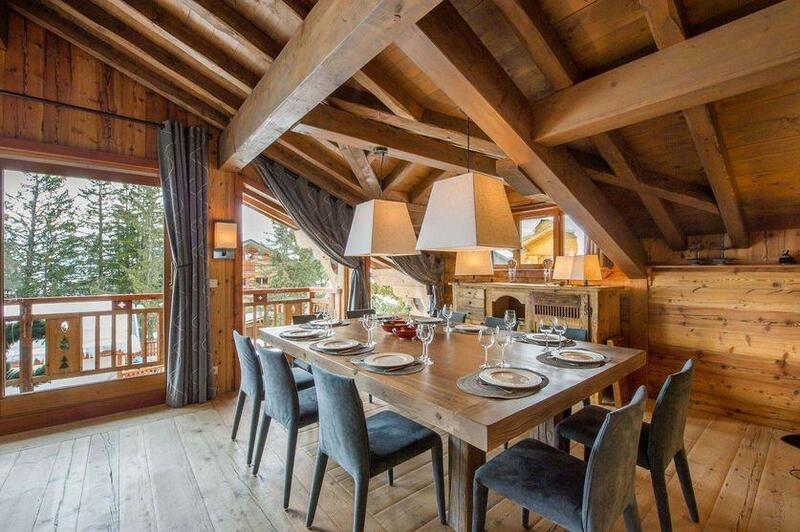 The family chalet Aspen embodies the spirit of luxury placed under the sign of conviviality. 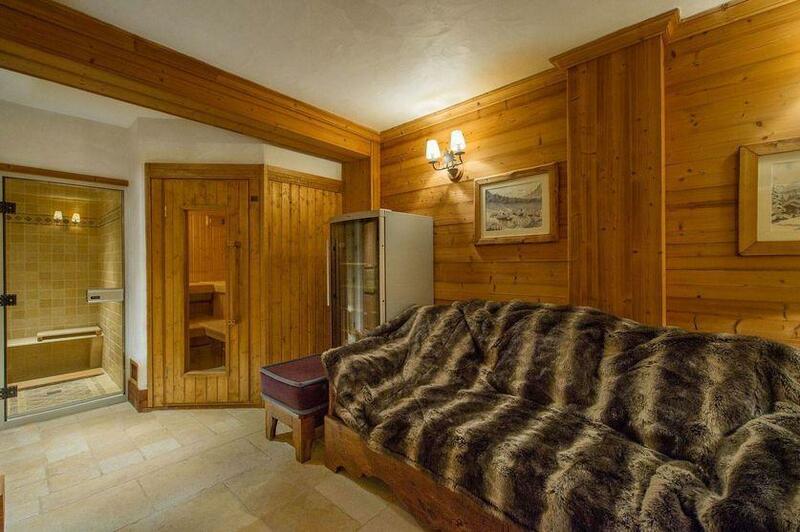 The ambiance of this mountain chalet is authentic and the decoration is in pure Savoyard spirit. 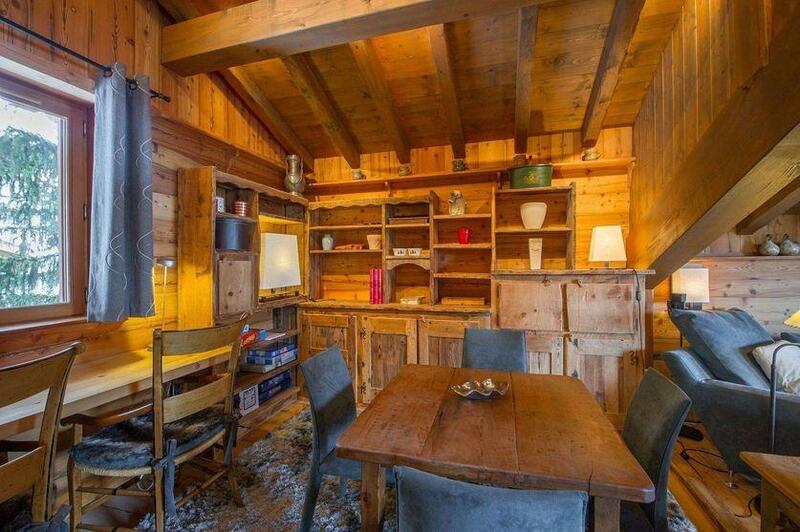 Old wood covers the chalet from floor to ceiling and reinforces its rustic soul. 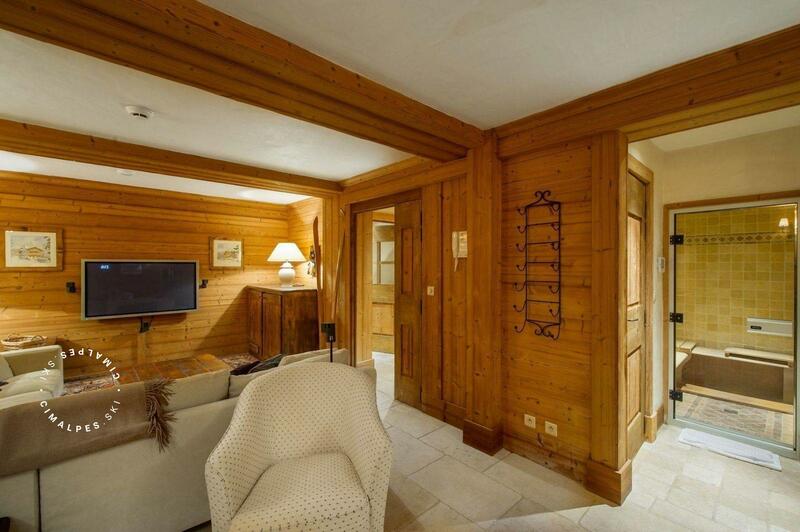 The huge living area revolves around the central fireplace that divides the space between the lounge and the dining area, which is very conducive to long family meals around the large table carved from a single wood panel. 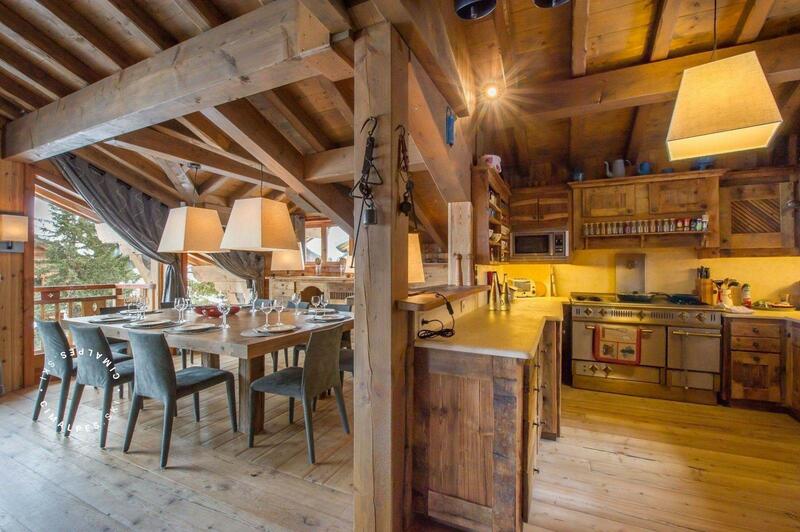 The semi-professional kitchen of the family chalet Aspen will be the site of expression by the head chef throughout your stay. 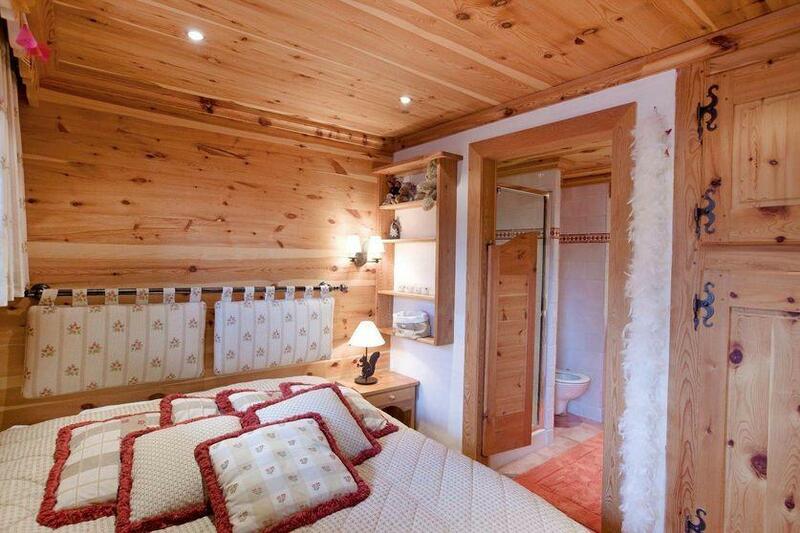 Continental breakfast, local or international cuisine, the chef is there to cook whatever you desire. Cimalpes strives to offer the best quality services in the Alps that will contribute to the success of your family holiday. 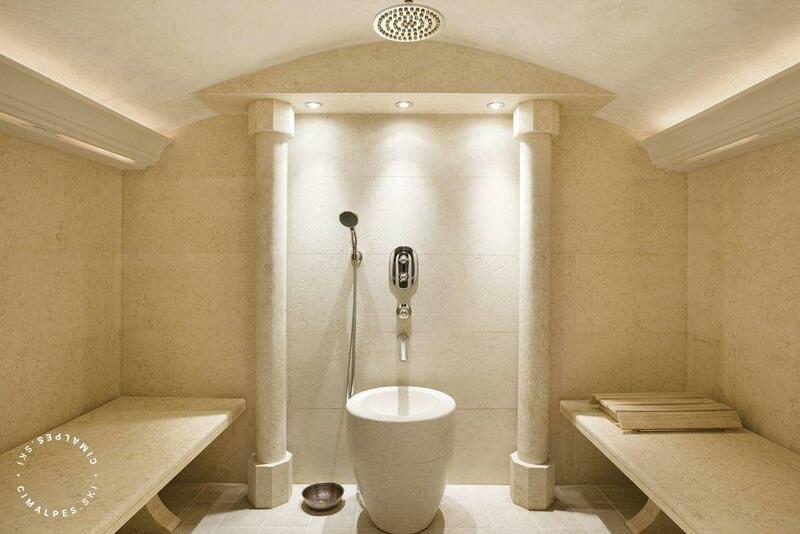 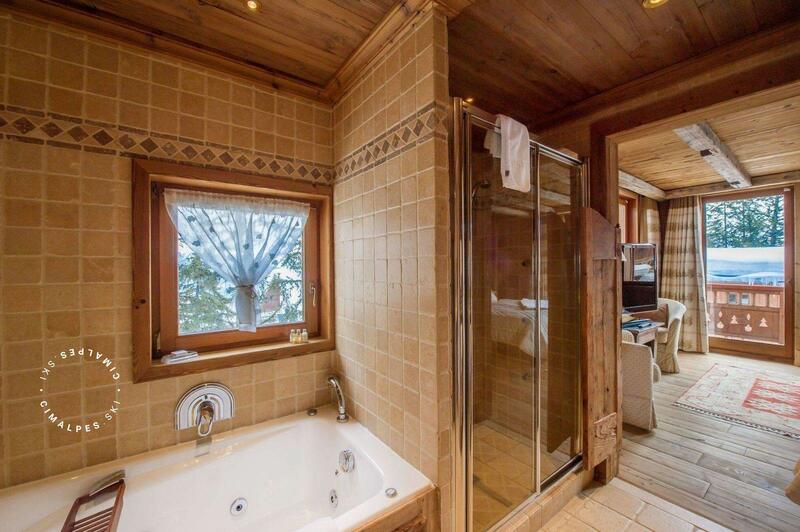 The level of equipment in this mountain chalet Aspen is worthy of the biggest hotels in Courchevel 1850: the relaxation area includes a jacuzzi, steam room, sauna and a home theater room. 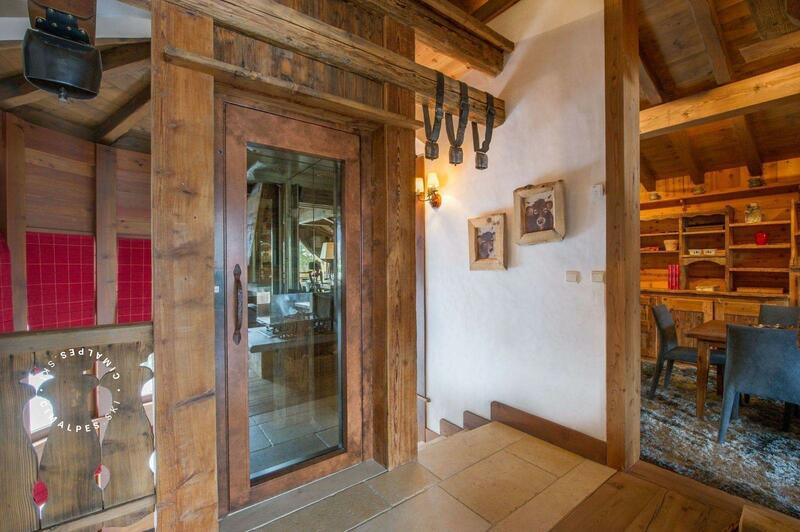 A private elevator serves all four levels of the mountain chalet and it has six en suite bedrooms that can accommodate twelve guests. The chalet Aspen seduces the most demanding families looking to rent a family chalet with equipment and high-end services. 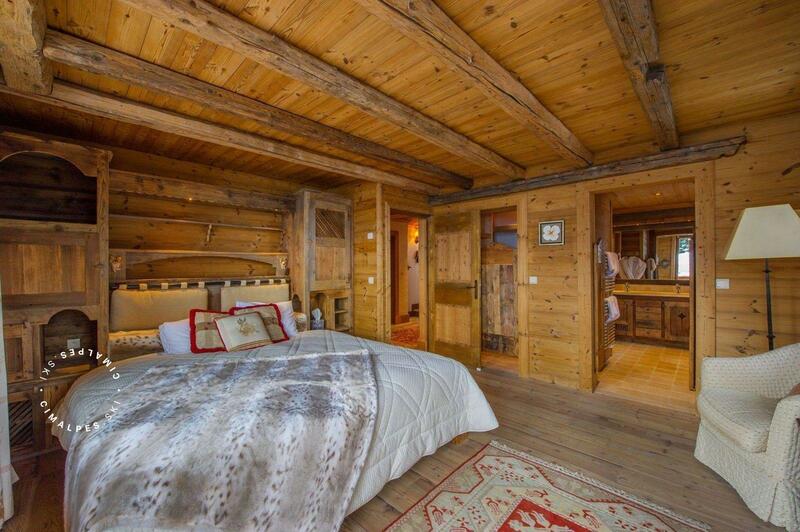 This authentic mountain chalet promises beautiful moments of sharing and conviviality, its occupants will leave with a head full of memories. 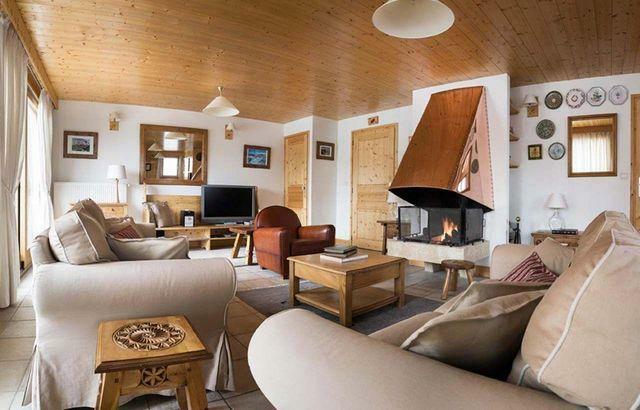 In the calm and intimist Chenus area, you can access from the chalet to the slope Slalom (at 80m) to join the ski lifts of Courchevel and enjoy the ski area of the 3 Valleys. 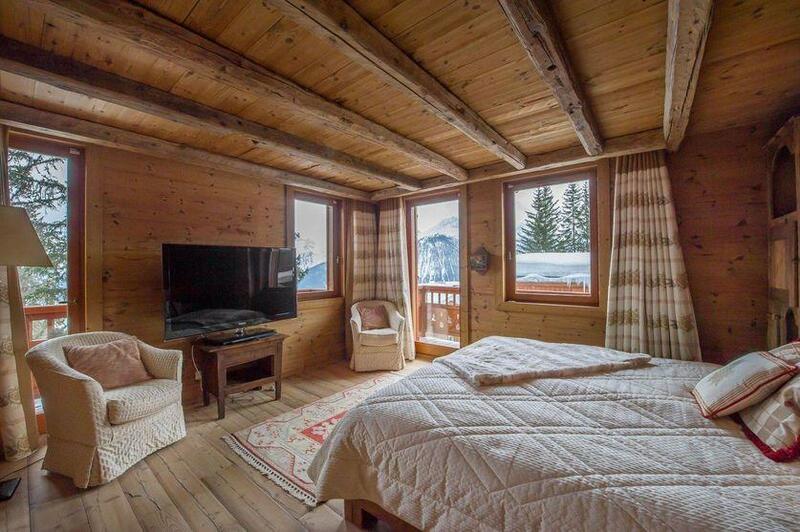 A relaxation room welcome you in lower level of the chalet equipped with sofas, TV and home cinema, hammam, sauna and jacuzzi for a relaxing moment after your skiing day. 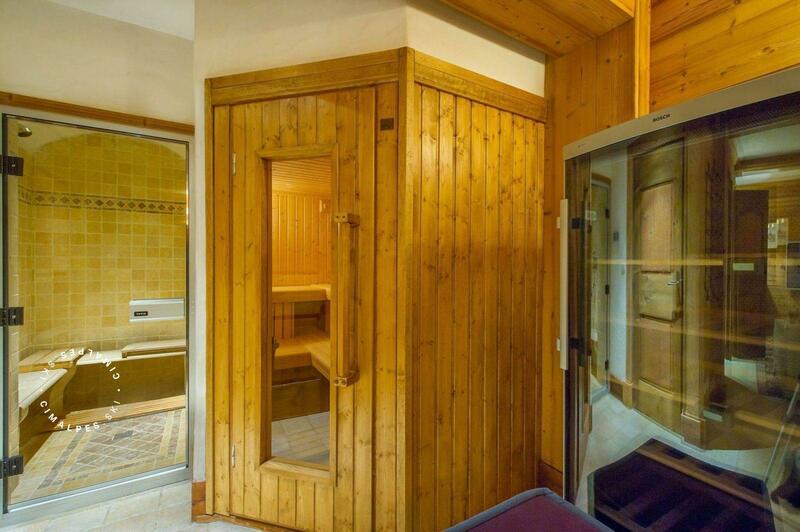 Leisure areas : A relaxation room welcome you in lower level of the chalet equipped with sofas, TV and home cinema, hammam, sauna and jacuzzi for a relaxing moment after your skiing day. Living area : The living area of the chalet 'Aspen' is a personification of charm and conviviality. 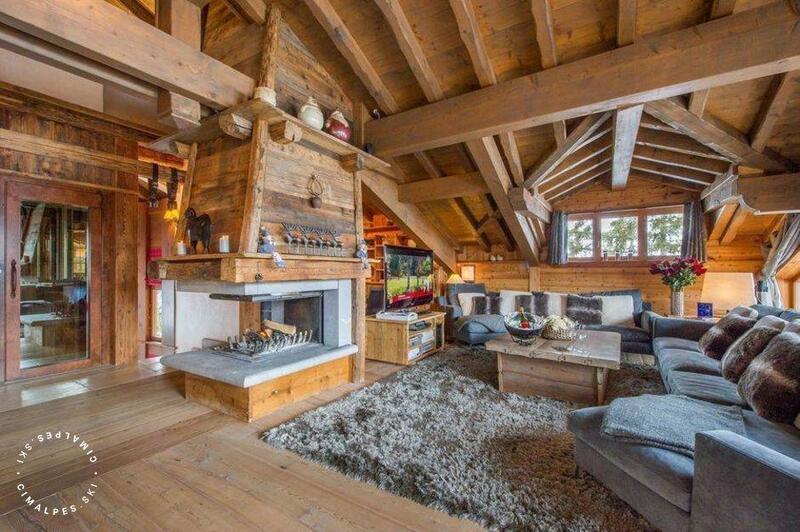 You will appreciate the beautiful ceiling height, the brightness and central fireplace. 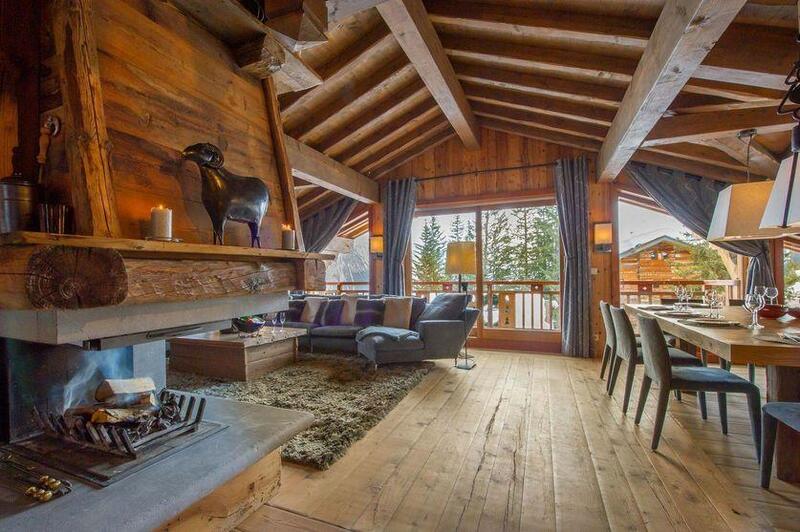 Chalet ASPEN combines authenticity and modernity In a popular area in Courchevel. The piste of the Stade du Slalom is located at 80m from the chalet. 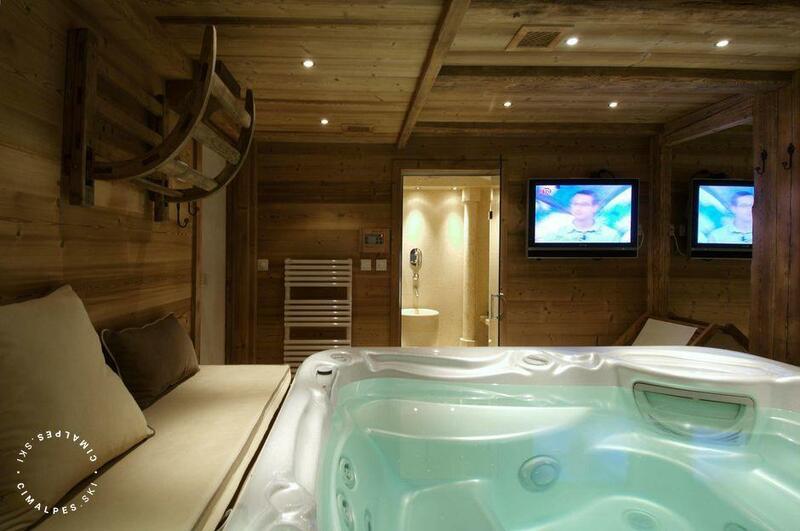 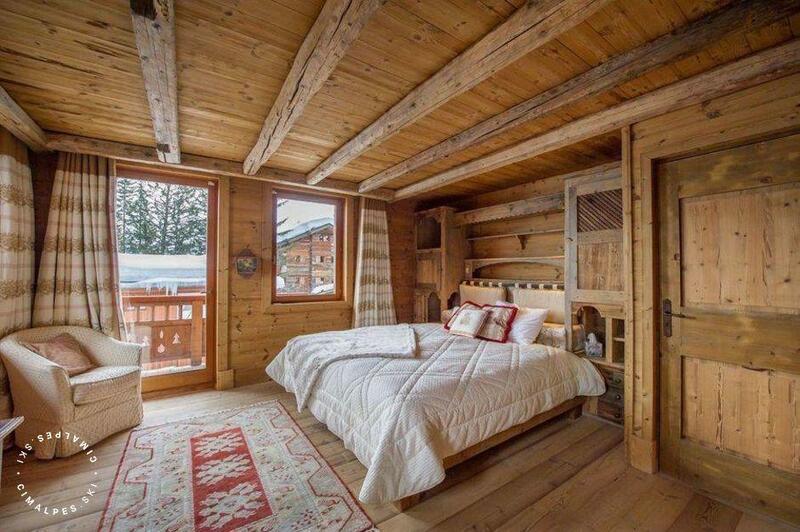 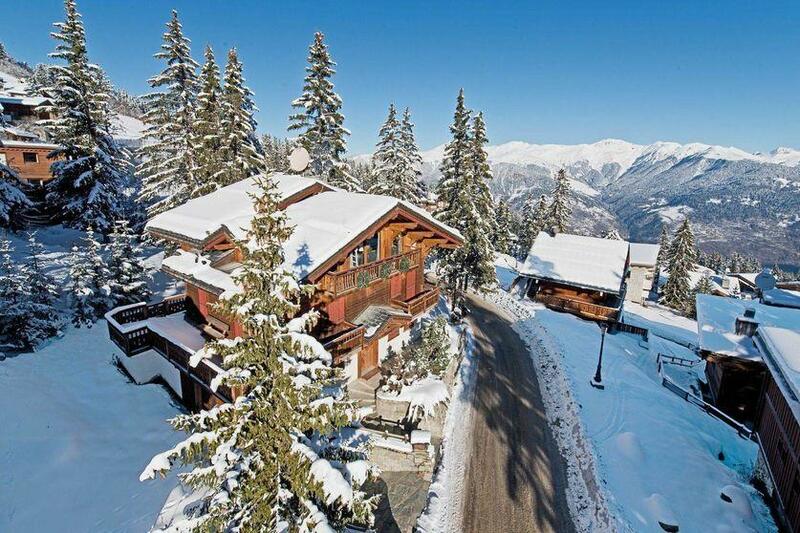 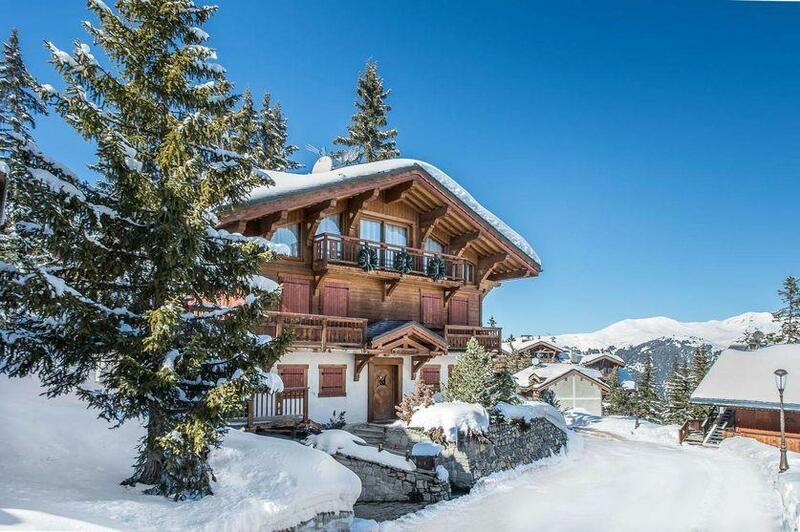 This chalet is one of the nicest in Courchevel 1850. 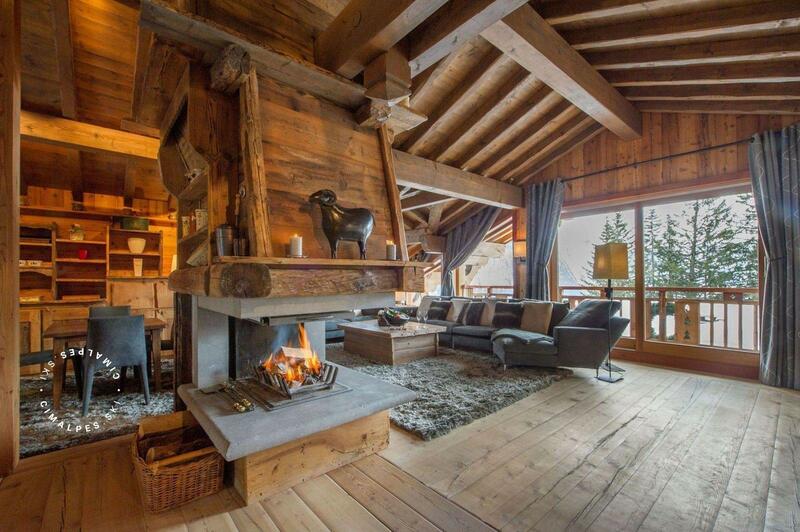 The lounge offers enjoyable moments by the centre fireplace. We were pleased by the breakfast service prepared by the chef in the morning.